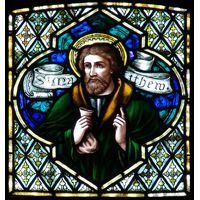 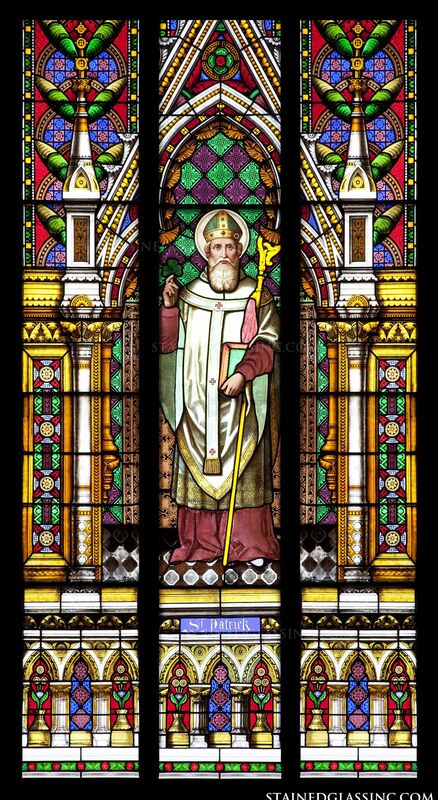 Saint Patrick, of Ireland, is a patron saint of Ireland, Nigeria, Boston and New York. 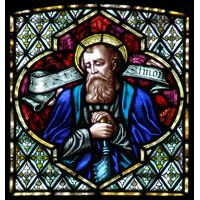 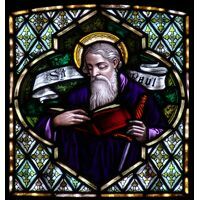 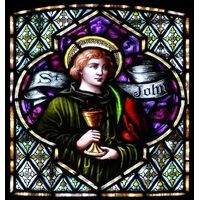 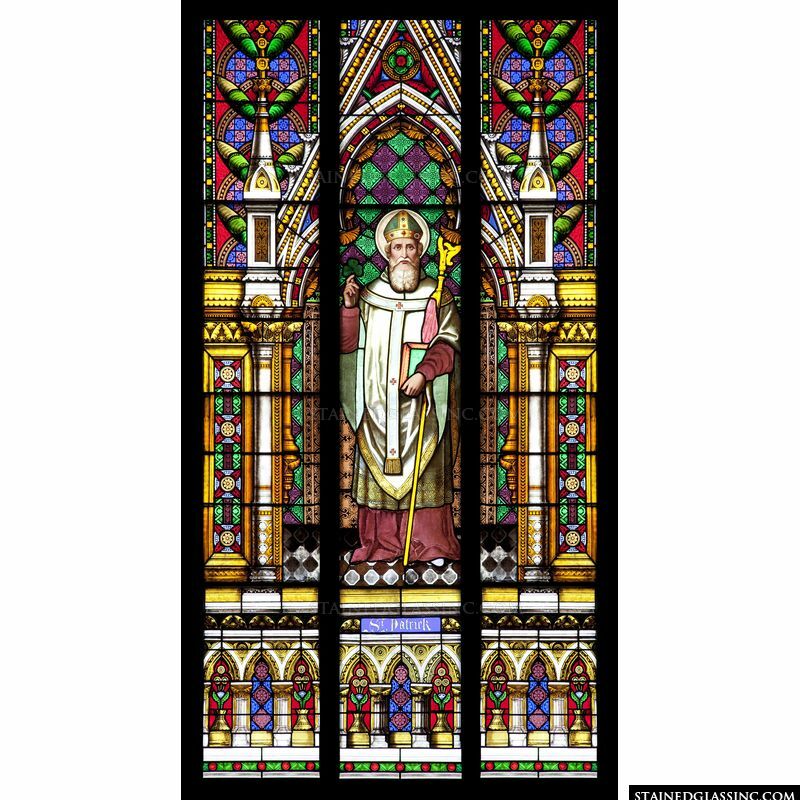 This favored saint is celebrated the world over, cloaked here in brilliant, vivid color and framed by classically designed antique style stained glass that brings to mind the breathtaking stained glass windows of European cathedrals. 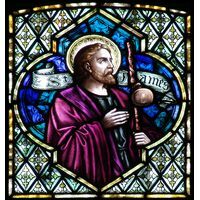 Perfect balance and symmetry pairs with color, light and detail in design to make this stained glass art panel a masterpiece. 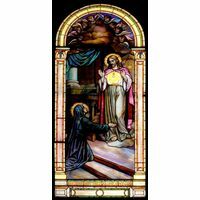 This lovely stained glass window reflects rays of sunlight, candlelight and firelight as they dance along the surface in shifting shades and patterns throughout the day and night. 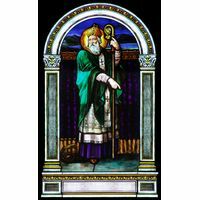 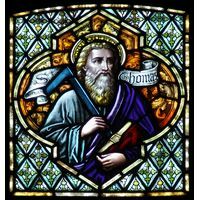 This stunning stained glass design is perfect to enhance every area of prayer and devotion, church, chapel or shrine to St. Patrick, and also lends itself well for decor in Irish themed business or home decor.